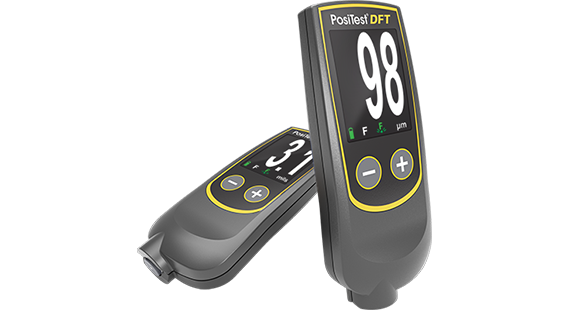 The new PosiTest DFT thickness gauge is an economical and compact model, with integrated probe for measurement on all metals with a range of 0 to 1000 microns, and an accuracy of 1 micron. One of the most versatile methods for the protection of steel against corrosion is through the application of a protective coating system. Prior to the application of a coating, the surface must be prepared and cleaned depending on the type of coating to be applied and depending on the user’s expectations regarding the durability of the system in service. The evaluation of the degrees of cleaning of steel surfaces has a great impact on the quality of service life of a paint system and can significantly affect the cost of a project if the evaluation is not carried out correctly. The surface cleaning of a steel surface to be protected with a coatings and / or paint system can be done with different methods. The ISO standards and the joint SSPC / NACE standards are the most used in the industry at the international level. Both standards define the different types of degrees of surface cleaning, as well as different types of initial condition. The requirements for each degree of cleanliness are defined in the written part of the standard, which must be duly interpreted in order to perform the visual evaluation of the surface that has been cleaned. During the evaluation, photo patterns can be used to help interpret the written definition of the degree of cleanliness defined in the standard. Conflicts in works and projects are often observed due to misinterpretation of the degree of cleanliness required in a specification. Sometimes the compliance of the cleaning of a surface is verified and a decision is made with a simple visual evaluation, without making use of the rule or without correctly interpreting its content. 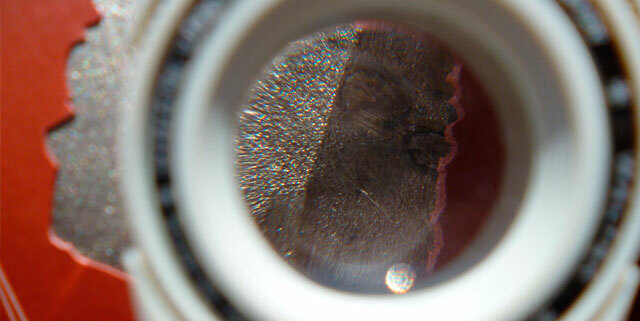 The direct comparison of the cleaning of a surface with a photographic pattern is not enough if the content of the standards is not read and interpreted correctly. A poor decision on the part of an inspector or quality control technician could affect the quality of the project if a work that does not comply with the requirements of the standard is satisfied. On the other hand, if a job is rejected or given as nonconforming on a surface that complies with the degree of cleanliness as defined by the standard, the decision could incur very high costs and delays for the project, in addition to the corresponding negative impact for the workers who perform the operation and for the environment that surrounds the work area. End users and the industry in general must ensure that this type of evaluation is performed and interpreted correctly according to the technical specification of the project. The client must ensure that the cleaning grades are interpreted correctly by the contractors when issuing an offer and executing the work. At the same time, it must ensure that the Inspectors or quality control personnel evaluate and interpret the content of the standards in an adequate manner to avoid that the decisions made in the evaluations affect the quality, production and the cost of a project. Example of a surface to which a dry abrasive cleaning has been carried out. The interpretation of cleaning grades can have a significant impact on the quality and cost of a project. Customers or end users demand an increasingly high level of quality for their new construction or industrial coatings maintenance projects. The expectations of durability of the protective coating systems is increasingly high reaching the request for durability greater than 15 years before it is necessary to carry out the first maintenance of the protective system of an asset or structural element that was prepared and treated at the time. according to the customer’s specifications. One of the most important aspects in a coating project is the elimination of surface contaminants. Surface contaminants prevent the correct behavior of a coating system. Pollutants are impurities that may come from the environment or from manufacturing or assembly processes or operations. These contaminants can be visible as in the case of dust, grease, oil, rust, rust and other foreign matter or not visible as the case of soluble salts and some films of oil or grease that are not visible to the naked eye and must be evaluated properly. How do contaminants affect coatings? – Contaminants exposed on the surface. – Contaminants in the environment susceptible to adhering to the surface. – Contaminants in the product or equipment. Contaminants often influence the performance of the coatings in both the adhesion of the coating system to the base material and the adhesion between layers of the coatings. 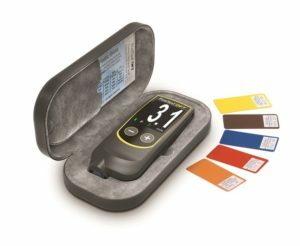 The specifications are not clear when determining the amount, frequency and type of contaminants that may remain on a surface before applying a coating, as well as the methods of measurement and testing to measure the presence of these contaminants. Any contaminant trapped in the metal or bare material to which a treatment, coating or paint is subsequently applied, will impede the correct development of the same, creating defects or imperfections in the coating, greatly affecting the adhesion of the same with the base material . This will lead to premature failures in those areas and the probable need to have to carry out maintenance work ahead of schedule, incurring extra costs. – Realistic durability of the protective system. – Initial condition of the structure. – Storage of the structure in project. 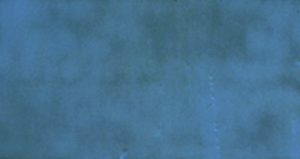 – Surface preparation and treatment processes. – Logistics and possibility of environmental control. – Quality control of products and equipment. – Pollutants allowed and not allowed on the surface. – Acceptance and rejection criteria. – Cost of removing pollutants to the desired degree. The specifiers must know in detail the rules for cleaning surfaces at the time they will describe a degree of cleanliness for the application of the coating. The series of ISO, NACE and SSPC standards for surface cleaning refers to the type of visible contaminants that may or may not remain on the surface when it is evaluated without increases. There is a great variety of contaminants that when evaluated with increases or other methods can be detected in a surface and these can affect the correct performance of the protective system. There are different industries with different criteria when defining the presence or elimination of surface contaminants in the substrate, base material or between layers before applying a coating or inclusions in finishes of non-permitted coatings, such as the case of the I already. The specifier must establish the requirements as to the type and quantity of contaminants that may be present in a surface if any are allowed. In the case that the presence of contaminants is allowed up to a certain point, it must be properly delimited, as well as its method of inspection and acceptance and rejection criteria. 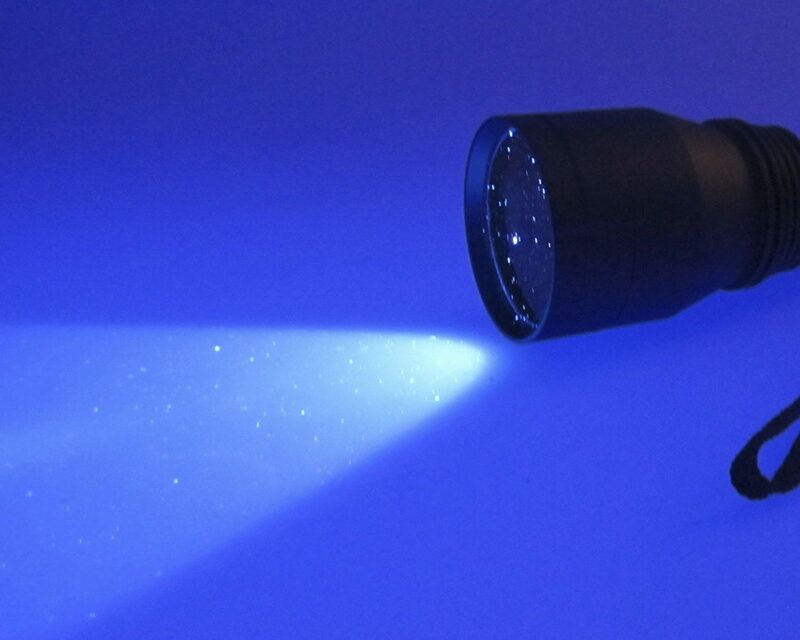 – Flashlight 500 Lux or higher. – Kit for evaluation of surface dust according to ISO 8502-3. – Kit for the evaluation of soluble salts on surfaces. – Test strips to evaluate the PH.